Like many other Web sites, http://variousoflife.blogspot.com/ makes use of log files. The information inside the log files includes internet protocol ( IP ) addresses, type of browser, Internet Service Provider ( ISP ), date/time stamp, referring/exit pages, and number of clicks to analyze trends, administer the site, track user�s movement around the site, and gather demographic information. IP addresses, and other such information are not linked to any information that is personally identifiable.
.:: Google's use of the DART cookie enables it to serve ads to your users based on their visit to http://variousoflife.blogspot.com/ and other sites on the Internet. http://variousoflife.blogspot.com/ has no access to or control over these cookies that are used by third-party advertisers. originated from the experience of all life deserves only About this blog dedicated to the conservation, all about the colorful life. 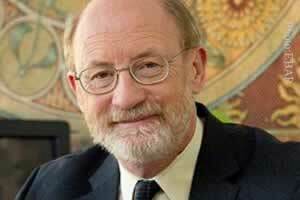 John Laird will not be rejoining the California LGBT Legislative Caucus this year after all. He lost Tuesday's 15th District State Senate Special Election against Republican Sam Blakeslee. The 15th district seat was previously held by Republican Abel Maldonado, who is now Lieutenant Governor of California and running to hold on to this new post against San Francisco Mayor Gavin Newsom in November. Unfortunately, the seat will not be up for a vote again until 2012, so that leaves Democrats 2-votes away from the 2/3rds (27 votes) they need in the Legislature's 40-member upper House to pass a budget and raise taxes.